For over 38 years, American Chimney has prided itself on keeping homes warm and safe with the best chimney sweeping and repair service in the Greater Cincinnati area. Our American Chimney Sweep and NSCG certifications provide that our servicemen work safely and efficiently across Greater Cincinnati, offering fireplace installation and chimney repairs. Tim from American Chimney was a consummate professional and explained everything from A to Z to me. He was on time, explained to me what he did throughout the whole inspection, and provided all appropriate recommendations. American Chimney will have me as a customer for life! Reliable, trustworthy and did a fabulous job! Our chimney was in need of a really good cleaning and trying to find a reputable company wasn't easy. Our neighbor recommended American Chimney, they were able to come out quickly and clean and inspect our chimney. We were concerned about issues we were having and Tim used a camera and inspected everything then did a fabulous job explaining what he recommended we do to fix it without trying to oversell us. Tim also did a fabulous job cleaning the chimney, he was professional and cleaned up all the mess before leaving. We will be using them in the future and also recommending them to friends and family. Matt from American Chimney showed up on time and completed the work with no problem. He and his assistant were professional and did a wonderful job. They cleaned my dryer vent (which was on my roof!) and installed a remote for my gas fireplace. No mess and everything is working perfectly! Tim called before arriving to let us know that he was on his way. Be reviewed the issue we were having and made several recommendations. He gave us a tentative window for the work to be completed in and started that he would be sending an official estimate to my email. Be was very courteous and helpful. Just had American Chimney do a clean and Level 2 inspection. A quality job well done! I've always used American Chimney. They're very thorough. And their personnel are very friendly and personable. They did a great job on my new chimney crown 5 years ago, too!! Tim was very helpful and detailed as to what was needed to fix my issues, even showed me on the video what he found. Very satisfied with this company. Had a previous company come out who did not make me aware of other issues I had regarding my fireplace. We've used American Chimney for many years. These guys are polite and professional. Tim arrived when advertised, checked everything out, and we are good to go for another year! Tim and Matt came to my home, they were courteous and professional they were very helpful and answered all my questions. They also cleaned out the dryer vent. My mom happened to be here that day and they answered her questions and she is going to call and set up an appointment with them. Just have to say that Tim and his crew from American Chimney did an excellent job replacing our chimney crown and liner. They are efficient, friendly, customer centered, and neat. The repairs were done swiftly - and in the inclement weather of the dead of winter! Definitely will do business with American Chimney in the future. Our service person was Matt Kenton. Matt was very thorough and took his time making sure everything was right. He even went above and beyond trying to figure out a problem with the fireplace smoke getting pulled back into the house. We will definitely call American Chimney again the next time we have issues with the fireplace or schedule a cleaning. Very good work. Tim was very professional, efficient, and polite on our cleaning and inspection. He made no nonsense recommendations on getting our chimney back in shape. Very pleased with the service. It has been a pleasure working with American Chimney. We were able to get a timely appointment and our service specialist was very helpful. Our serviceman Tim was amazing and kept everything extremely clean. He was very timely and cretinous. It was a pleasure to have him in our home. Thanks American Chimney for making this process seamless. Our service man, Tim, arrived on time and ready to work. He was very friendly, polite and efficient. I appreciate that he laid down tarps on my light colored carpet to contain any dirt. He completed the job quickly and informed us of what he found and made recommendations for the proper upkeep of our chimney box. We will definitely call American chimney for our future needs. I needed my fireplace cleaned and inspected. The serviceman, Tim B., was prompt, professional and friendly. He answered all of my questions and explained everything he was doing. He cleaned everything up and gave me post cleaning instructions, as well as tips for having a safe fire and how to diminish the smoke I sometimes get when lighting a fire. He found a few minor repairs that are needed, one of which he fixed on the spot. I highly recommend American Chimney and specifically Tim B.
Tim arrived when expected. He was polite and professional. The fireplace looks great and no mess was left behind. I was very impressed by the whole experience. We have used the service in the past and will continue to do so. Tim was here today to check on our fireplace. Very helpful and respectful. He explained the problem and showed me how to make sure this didn't happen again. He also gave me tips on how to start the fire.This was the second time we used American Chimney and would recommend their service. I couldn't be more pleased. Tim was very professional, informative, and polite. He showed me what he was doing and why. He left the place cleaner than when he walked through the door. I now am confident we can burn a fire safely. You will get an education. I enjoyed dealing with everyone- very nice people. This was the first time we used American Chimney. They called the day before to verify appointment and called the morning of to give time they expected to arrive. Tim was courteous, helpful, completed work very timely and was very efficient. I would gladly refer American Chimney to friends. Easy to make an appointment for our gas fire logs to be looked at. They called before they arrived and actually could come a little earlier. Matthew was great and knew what was wrong right away. Answered some questions we had. Cleaned up after they were done. Definitely will use them again for our routine maintenance or issues! They were wonderful! Tim, our technician, did a great job keeping our home clean while cleaning a messy chimney and fireplace insert! He was knowledgeable, provided insight about some insert parts needing replacement, and providing efficient, outstanding cleaning services. Thank you! Been there, done that. I, and two of my brothers have at various times worked for American Chimney and Masonry in the Cincinnati Ohio suburb of Westwood over the past few decades. They're a fine bunch! Give them a call if you have a chimney and/or fireplace, they'll take great care of you! Clay did an excellent job at the recent ASHIWW conference in Seattle explaining all the details of chimney construction. Stated all the things to look for with problems with chimneys and fire places in general. Very knowledgeable about chimneys, fireplaces, inserts both gas and wood. Highly recommend him for service or to get information. Thank you clay. Tim and Max were excellent. They were very thorough and took care of repair that was needed. I have used American Chimney for years and will continue to do so. We have been using American Chimney since we moved into our house almost 20 years ago. They have cleaned the chimney regularly, fixed some masonry issues at the top, installed a bird-proof chimney cap, and most recently replaced a cracked tile. Everyone is courteous, professional, and does a great job. We have never been disappointed in their service or results! Scheduled a chimney cleaning with ACSM. Arrived on time (actually got a call prior to them arriving), and got right to work. They put protective tarps down to protect our floor during their work. Very satisfied with the work done. Workers were professional and knew the answers to our questions. They immediately placed down several black covers on the living room floor as they entered to ensure that no soot soiled the carpet. They have great technology that aids them in the chimney inspection, and therefore they can really see what is going on, and what can be done to fix problems. Jeff and Jason did a wonderful job replacing the chimney liner at my mom's. They were thorough and answered all our questions and were very polite. I've dealt with many chimney companies in the past, and American Chimney is defiantly one of the best. The work crew was amazing. They told us when they would be there and notified us when there was any changes. They were very helpful and honest. They left the chimney, and the surrounding area better than it started! I will defiantly use American Chimney Sweep again. Thank-you so much. Would you like to write review? 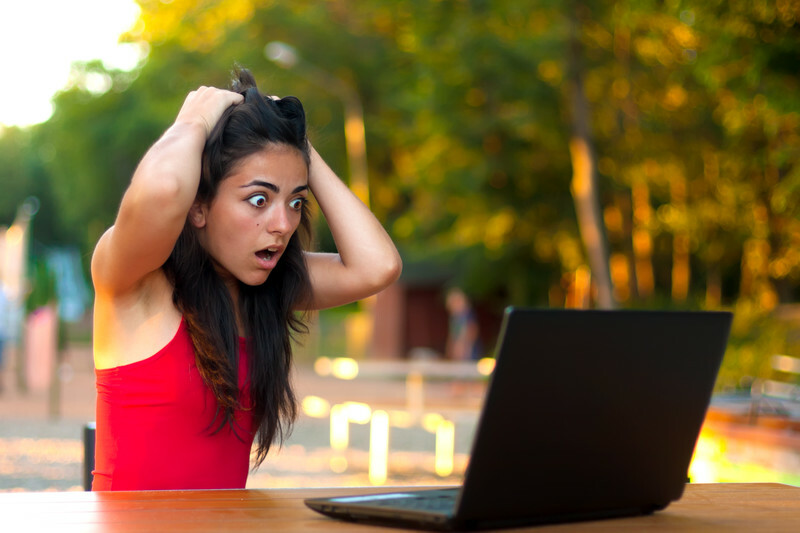 Before letting someone into your home, read their customer reviews! To assure the best service, we train all our chimney sweeps to NCSG standards. We design our equipment for every type of chimney, whether a large fireplace, furnace flue or factory built system. There are a couple alternatives for gas installation. One would be gas logs which more of a decorative appliance. Or you can consider installing a direct vent fireplace system, which is a great heat source. Whether the chimney is in need of minor repairs or complete reconstruction, American Chimney’s technicians and masons are trained to help you determine the appropriate course of action. Clay is available to address your group. Click the button below to find out more. Why do people invest in gas stoves? 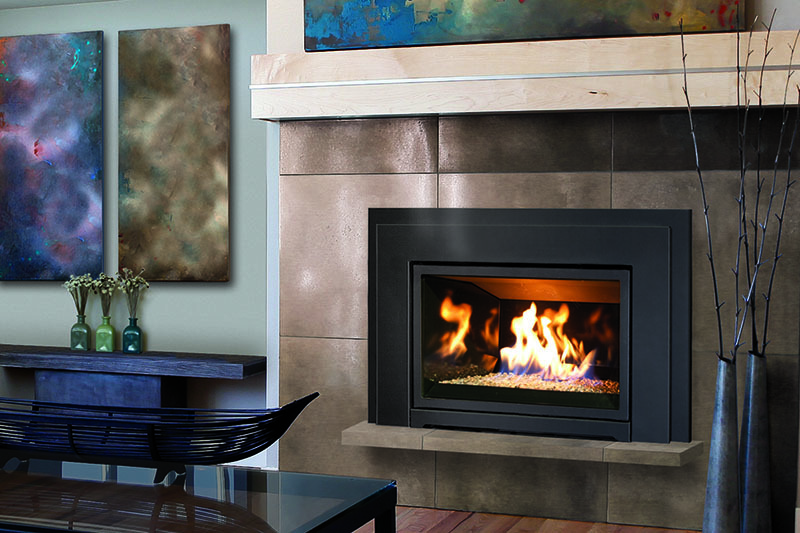 Gas fireplace alternatives could be as simple as installing gas logs that primarily are viewed as decorative-only and not as a true heat source, whereas a direct vent appliance would be a good option to consider. 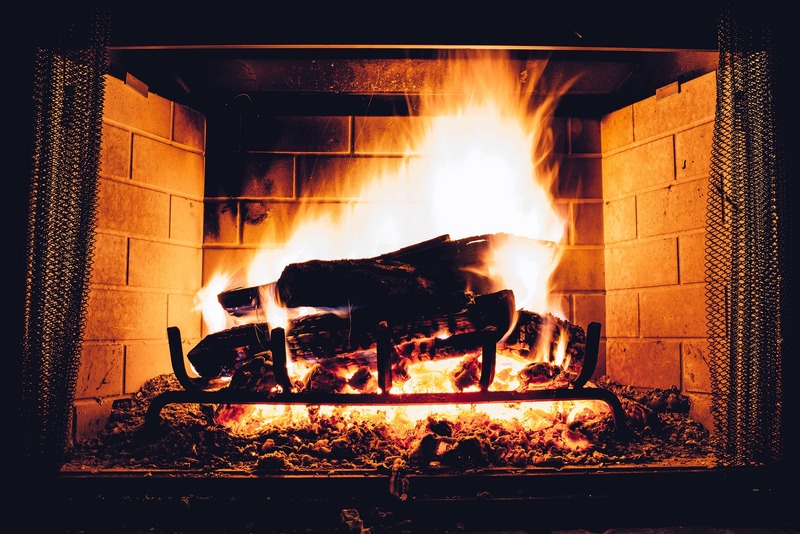 2 worthy characteristics of a direct vent fireplace: by remote control the flame can be raised or lowered as well as the fan speed can be increased or decreased for the comfort of the individuals in that room at that time. if your considering a gas a fireplace, i would highly recommend investing in a direct vent gas fireplace. this either be vented out the back of the fireplace or up the chimney. often individuals who are considering this heat source might also desire a change in the look of the fireplace brick or stone or mantel. its a great time to do a changeover, either way a direct vent gas fireplace offers a good return on investment for the homeowner. if you’d like a free in-home evaluation or like to visit us at our shop, we’d be more than glad to provide you information so you can make a more informed decision for your household.